Are you looking for solicitors in Bristol or the surrounding area? If so, you're in luck. At QualitySolicitors we can help you with a variety of legal issues, our expert legal advice together with a high level of customer care will ensure you're in the best position to resolve your legal matter in a prompt and efficient manor. At QualitySolicitors our lawyers are more than happy to discuss our fees upfront, we always keep you informed with what’s happening, and we explain things in plain and simple terms rather than legal jargon. We’re a great choice, so please feel free to find out how we can help by calling your local branch direct on the number below, or call our national freephone number 08082747557. You should have complete confidence in whoever you choose for your legal matters. The team at QualitySolicitors offer a forward-thinking legal service for businesses and private clients. We combine comprehensive technical knowledge and experience in all things law with an unparalleled customer service. 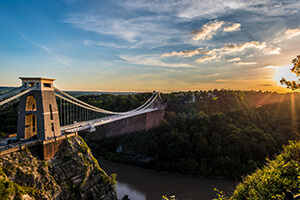 Whether you’re based in Bristol near Bedminster, Clifton, Horfield, Kingswood or Queen Square, the surrounding areas, we have an office near you and there will be a QualitySolicitors team member to match your needs. You’ll have an assigned solicitor who specialises in the law types you need advice on, ready to provide clear guidance in plain English. Our commitment to direct contact means you’ll be kept up-to-date as your case journey progresses and can ask questions of the solicitor that’s actually handling your matter. The experience of our team and our long-standing connection with local communities is also backed by the national presence of the QualitySolicitors network; we have the capacity to grow and diversify to predict and respond to your changing needs. We appreciate that legal expertise can be needed for big and small commercial projects or personal life changes, which is why we offer tailored packages or pay-as-you-go services that boast affordable fees. We want everyone to have the opportunity to access the legal services they need, starting with a free initial consultation. We have an expanded range of traditional and niche law services on offer from our approachable and friendly team, including commercial and personal conveyancing, debt recovery and debt management, disputes and litigation, employment law for employers and employees, family and matrimonial law, personal injury claims, mental health and capacity law, and Wills, Lasting Power of Attorney and probate. If you’re struggling with debt the most important thing you can do is seek advice at the earliest opportunity. Our friendly debt management solicitors are on hand to help you get through the tough times and into the clear. Financial problems can cause unwanted stress and anxiety, or even problems with your relationship. At QualitySolicitors we understand issues with finances can be a sensitive subject, that’s why our friendly solicitors can offer sound and confidential advice to help you get back in the black. Our experienced debt management solicitors in Bristol and Thornberry have the knowledge required to help you or your loved ones out of what can be a difficult period, so you can focus on the things that matter most in life. We provide a quality and cost-effective service with a free initial telephone consultation to assess your requirements, before providing you with a no hidden costs quote so you can decide how you’d like to move ahead. So whether you’re being chased for debts that you owe, looking for advice about the legalities surrounding bankruptcy or dealing with bailiffs, our highly-trained and professional solicitors are here to help. Take control of your finances and call us for a confidential chat today on 08082747557. Disagreements are unfortunately a fact of life. They are usually unpleasant affairs that can result in damaging allegations and behaviour and leave you stressed and frustrated. So whether your dispute is related to property, boundaries with a neighbour, a product, an injury, a Will or any third-parties, the team at QualitySolicitors are here to help. Our experienced dispute resolution solicitors understand that resolving a dispute can take time, that’s why we will work with you to discover the source of the dispute and put steps in place to come to a resolution. When mediation isn’t an option, we will help you identify the best course of action you can take to resolve the disagreement as painlessly, and with as little stress as possible. Our specialist dispute solicitors can help you resolve the disagreement in a swift manner so you can get on with the things that matter most to you. Our aim is to take the frustration out of the situation to help you find a resolution as quickly and efficiently as possible to minimise any disruptive impact it may have on your life. Sometimes it’s inevitable that issues arise at work. Relationships with colleagues or management could sour, there could be a contract dispute, or the risk of redundancy could be imminent. No matter the issue you are facing, the friendly solicitors at QualitySolicitors are here to help. We understand that dealing with complex workplace situations can be extremely stressful and frustrating. In situations like this it’s important to handle the problem delicately and professionally. Having friendly and knowledgeable solicitors on your side can help avoid any unnecessary complications. Employment rights can be extremely varied depending on the rights set out in your employment contract, in combination with personal circumstances and statutory rights. That’s why we offer a free, no-obligation initial telephone assessment to get an understanding of your particular situation, and provide you with all of the necessary information so you can make an informed decision on how to move forward. All conversations with our professional team members are completely confidential, so there’s no need to worry about potential consequences of seeking professional advice. We have helped many people in similar circumstances in the past, so you know you’re in safe hands. Problems at home can be stressful and emotionally draining, whether it’s concerns regarding your children, worries about money after a separation or the breakdown of a relationship; swift resolution to the issue is always the number one priority. At QualitySolicitors our team of legal professionals are here to help you get through the difficult times. Encountering any legal issue involving your child can be a distressing time, and it’s extremely important that parents work together to find the best possible resolution for their child. If an agreement for the care of your child cannot be made between both parties through mediation, we can help you find a solution. Our team of friendly family law solicitors in Bristol and Thornberry can provide you with all of the important information you need to know regarding the legalities surrounding child arrangements. Our primary aim is to provide an affordable service to help you and your family work through this difficult period in your lives. Dealing with problems relating to children in care can seem like navigating a minefield of rules and regulations. Here at QualitySolicitors our highly trained team of professional family law specialists have vast knowledge and experience dealing with all aspects of the law revolving around children in care. We understand that any issue involving children can be difficult and upsetting for all parties involved. That’s why our friendly and jargon-free approach can help alleviate some of the worries that may arise. Our aim is to help you understand the law relating to children in care so you can find the best possible solution to your current circumstance. Relationship breakdown is a fact of life. Unfortunately sometimes relationships just don’t work out how you expected. Emotions often run high, and it can seem like you’re alone. So whether it’s a divorce, sharing or splitting assets or understanding the options when it comes to custody of your children after a separation, QualitySolicitors are here to help. We can help you work through the legal aspects of a relationship breakdown to find the best possible route through the process and out the other side. Sometimes difficult decisions need to be made. It’s important that you have an experienced solicitor by your side to help clarify some of the legal issues that may arise if you or a loved one is experiencing a dilemma as a result of a mental health problem. Mental health problems are more common than you think, it’s important to understand your rights (or the rights of a loved one) during these troubling periods. Maybe a close family member is struggling with a recent mental health diagnosis that is affecting, or may in future adversely affect, their quality of life. Maybe you’re experiencing an issue relating to your mental health and want to safeguard your and your family’s future should something happen. Whatever the case, having somebody to provide sound advice on the legalities surrounding mental health and capacity can help alleviate some of the uncertainty in what can often be an extremely stressful and upsetting time. At QualitySolicitors our experienced solicitors can work with you and your loved ones to clarify some of the legal aspects of mental health concerns. Our trained solicitors will provide sound legal advice with an unparalleled service handled with sensitivity and care. Our aim is to ensure you receive the best advice to help you secure your future. Professionals owe a duty of care to their clients to deliver advice based on their expertise and experience. Bad advice does not just mean bad service; it can actually be a breach of a professional’s duty of care to you. You may have a claim for professional negligence if you received careless advice or a service that fell below what you reasonably expected of them and, as a result of their advice or service, you suffered a loss or damages. We rely on professional advice every day, whether taking advice from an accountant or financial planner, seeing a doctor, dentist or other medical professional, buying insurance, engaging a surveyor, architect or builder to develop land, buying or selling a home, or seeking the legal advice of solicitors, barristers or other legal professionals, to name a few examples. When seeking that advice, we can reasonably expect the person is qualified and will assume a responsibility towards you to provide an expert level of care. A breach in their duty of care can cause significant consequences that should not have to be borne by you. Our professional negligence team have a wealth of experience in supporting clients to get the compensation they deserve. If a professional’s bad advice has cost you, call us to see how we can help on 08082747557. Have you been injured? If that injury wasn’t your fault (whether the other party was fully or partially to blame) the law entitles you to seek reasonable compensation to help your recovery, or to help you longer-term if that injury has had a life changing impact on you or your family. Making a personal injury claim can seem like a difficult and intimidating process, that’s why our professional, friendly solicitors are here to help take that pressure off and help you move forward. At QualitySolicitors our fully trained solicitors can help you understand what your rights are, and what steps should be taken in order to improve your situation. Accidents abroad can have a vast range of financial and legal ramifications. So whether you’re seeking to be compensated for the increased cost of foreign medical care, if you're having financial problems as a result of unexpected travel costs, or if the injury that you sustained has caused more longer-term difficulties, we’re here to help. Buying or selling a house should be an exciting time, either starting a new chapter independently, as a couple or new family. You want this time to be full of decisions about how you’ll fill your new space, get to know your new neighbourhood and enjoy a fresh start. The reality is that buying or selling property can be full of complex legal aspects, but they don’t have to dull your excitement. The property solicitors at QualitySolicitors take care of the technical side of conveyancing, including all the legal aspects involved before signing on the dotted line and everything that’s involved after settlement. We provide a full service property experience, working in partnership with agents, surveyors and mortgage brokers to make sure the process is as smooth as possible for you. We understand that making a decision to buy or sell a home or investment property will be one of the biggest decisions you may have to make in your life, which is why we’ll put the time and effort into helping you achieve the best outcome. You’ll have direct lawyer contact throughout the process and can feel at ease to ask questions as they crop up along the way. We view you as a person, not a transaction. Our conveyancing solicitors provide a complete service, including property checks on building restrictions, surveyor reports, boundary issues or existing neighbour disputes; we broaden the search scope to investigate the surrounding areas too and check for any planned major development works; we draft or review the contract of sale; manage contractual negotiations or disputes; ensure settlement is completed without a fuss; and remain as a key point of contact for landlord advice or tenancy issues. Our competitive pricing also means we can work within your budget. Nobody likes thinking about what happens when we (or our loved ones) die, but having a Will in place, or knowing the facts surrounding probate can certainly help relieve some of the pressure at this difficult time. Creating a Will can seem like a daunting task. At QualitySolicitors, our experience team of supportive and fully qualified solicitors can help you with a variety of Wills and Probate services, from preparing the Will, to Trust advice, disputes and administration of your or a loved one’s estate. It’s important that you can focus on the things that matter most to you, which is why our aim is to ensure the process is handled with the utmost sensitivity and professionalism. It’s also important that your Will is drafted by a professional, because an improperly prepared Will can be the same as having no Will at all, meaning that you would have no say in the administration of your estate after you passed. With a legally sound Will in place you can put your mind at ease, safe in the knowledge that your wishes (or the wishes of a loved one) will be carried out should something happen. At QualitySolicitors, we provide a range of Wills and Probate services in and around the Bristol and Thornberry areas. So whether you’re looking to prepare or update a Will, want inheritance and tax planning guidance, need support with Probate services, or information on Will and inheritance disputes, we can help you take the next step.